Ntel has officially introduced another great discount offer for its subscribers a few days ago, The new offer is called wawu reloaded. What's Wawu? Wawu means free data bonus or great discounts on data. 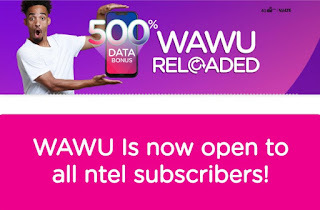 The Intel Wawu Data package enables subscribers to enjoy 500℅ data bonus if subscribers purchase any of the wawu data plans. 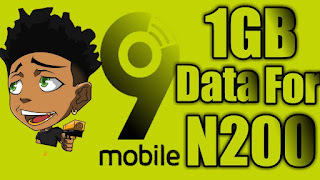 Aside from the bonus, subscribers will also enjoy calls @8kb/s to any network in Nigeria as long they have an active wawu data plan. 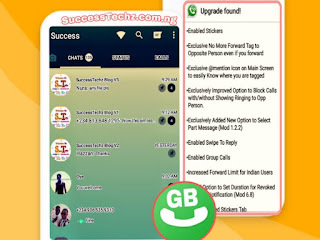 Go to: www.quickteller.com/ntel or visit your nearest ntel store. 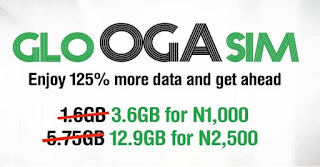 Buy a WAWU plan and get up to 500% data bonus instantly!